Pros: Durability. Designed and constructed with safety in mind. Made to last. Fast – can reach speeds of four to five miles an hour depending on size of rider. Seat adjusts to fit you child. Seat is large enough to protect child. Pedals are big enough that accidents should be minimized. Has a coasting lever that lets the rider cost and disengages the pedals so they do not turn. Hand brake engages both rear wheels where the drive runs the wheels. Cons: Assembly required. Made in Germany. Available only from U. S. affiliate websites. Shipping is extra. Parental supervision is recommended at all times. 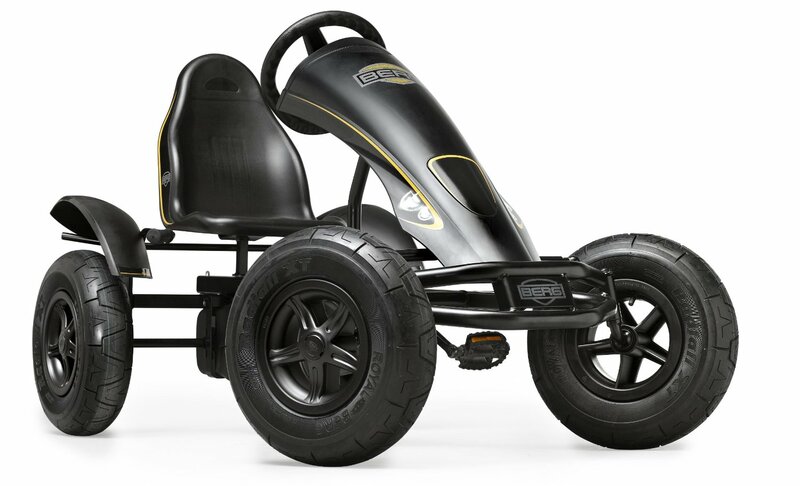 The Kettler Kettcar Kabrio Cart is a pedal driven “kids” cart that has been designed to look and feel like a go cart. 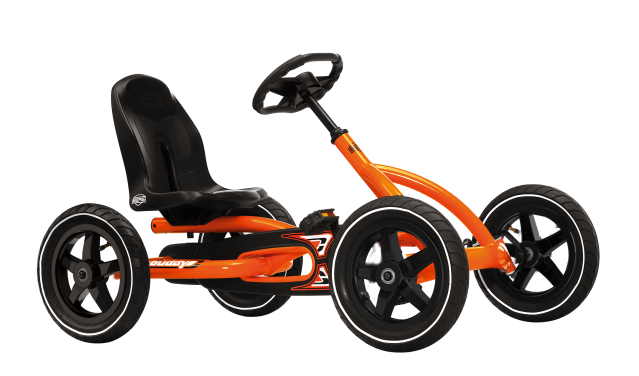 The kart has all the safety features that a parent could want or expect and has the speed that your kids want. The Kettler Kettcar Kabrio Cart is designed for use on sidewalks, driveways and can run on grass. Riding on the street is discouraged by the manufacturer and is probably illegal in most areas due to the recommended age range of four to 7 years of age. The pedal cart is made extremely well. Some owners claim a hard-use lifetime of 10 years and more. The idea is once your young kid outgrows the kart the next youngest inherits it. Some Germans claim to have made this an heirloom gift to at least the second generation of the same family. This cart is very well made. 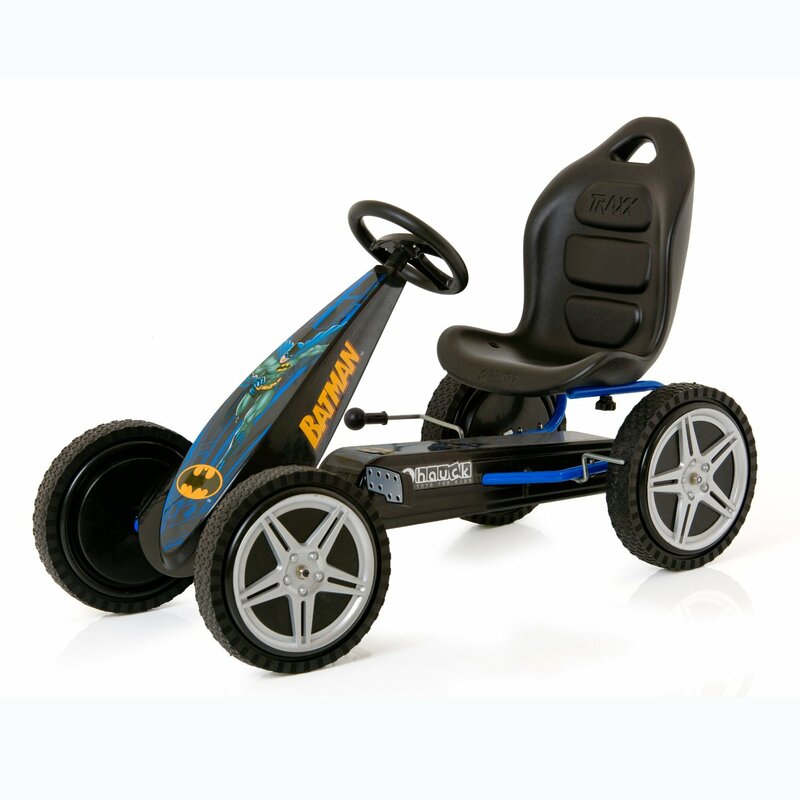 Tubular steel frames create the basis of the go kart. The front end has a double axle that provides maximum control over the wheels. The front end is not the drive end. A chain drive powers both back wheels. All metal parts are powder coated to last for a long time. The seat, steering wheel, chain cover, and seat are all thick polymeric plastic that is built to last. 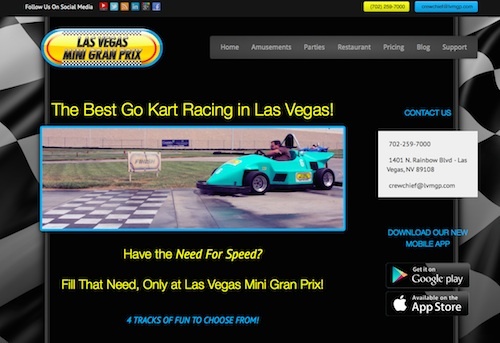 The go kart is built with safety as a first priority. The chain drive is completely covered with a plastic housing so no fingers of legs get grabbed by the chain. The wheels are made of a patented synthetic and have extra tread to maintain maximum contact with the driving surface. 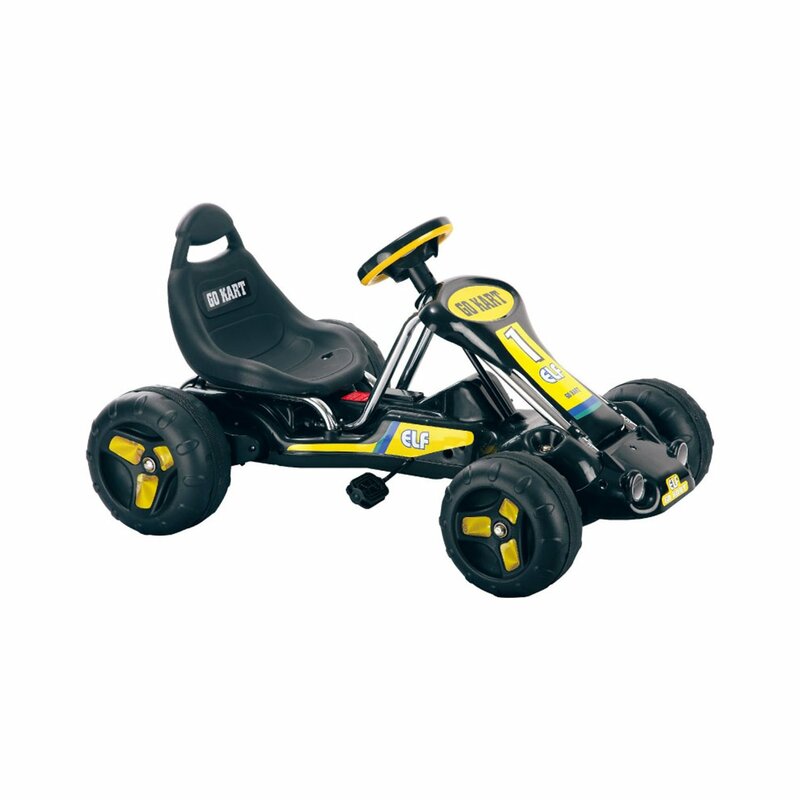 A seat that is adjustable allows you to fit the kart to your child. 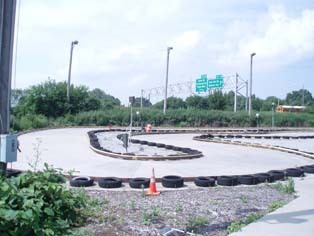 There is no seat belt – speed and height make a seat belt unnecessary as well as the danger of added injury from a seat belt in an open go kart. The pedals are made large so no little feet slip off and get scorched by the ground. A hand brake that works on both back wheels at the same time is said to be able to stop the kart at its highest speed in 20 feet or less. 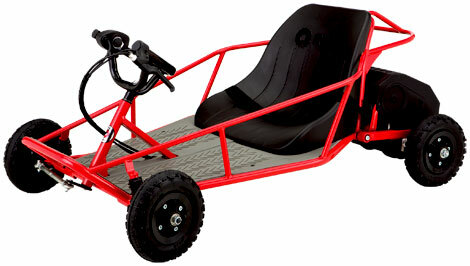 This pedal go kart is designed to be the most fun to drive kart for young children on the market. 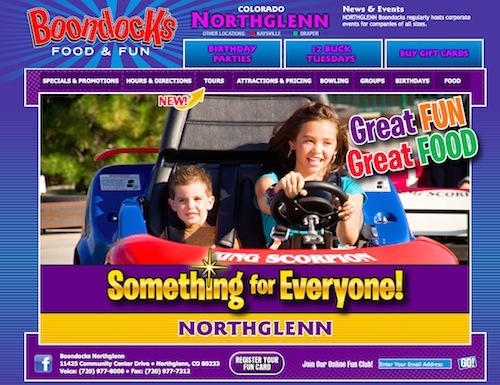 The steering column is almost the same as a go cart so your younger children can feel competitive and not left out from the fun your older kids are having with motorized toys. A fake gear shift on the pedal housing lets your kids imagine changing gears in a motor driven race car. 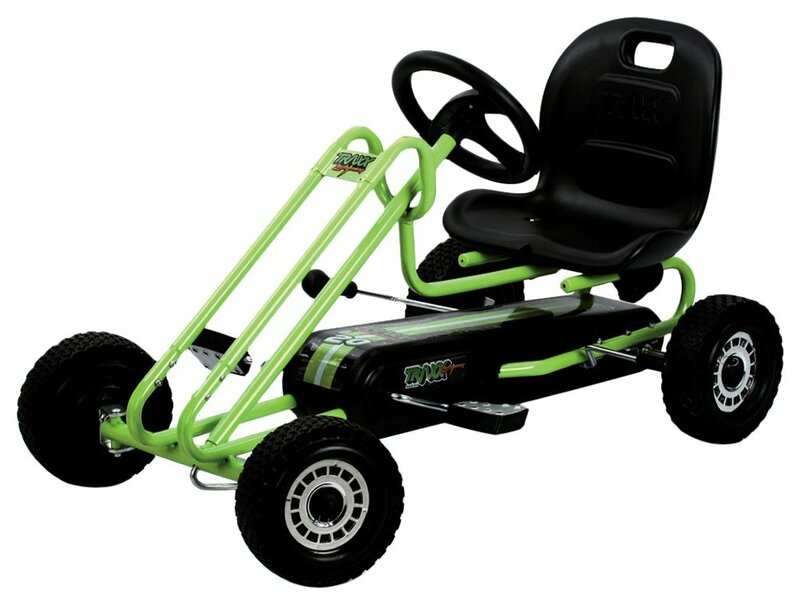 The thing your children will like most about this kart is how fast it will go. Speed is of course dependent on the size and strength of the driver but reported speeds of four to five miles per hour have been documented. Your kid can out run most of the motorized “kid” cars in the community. The kart has a coaster control that disengages the pedals. 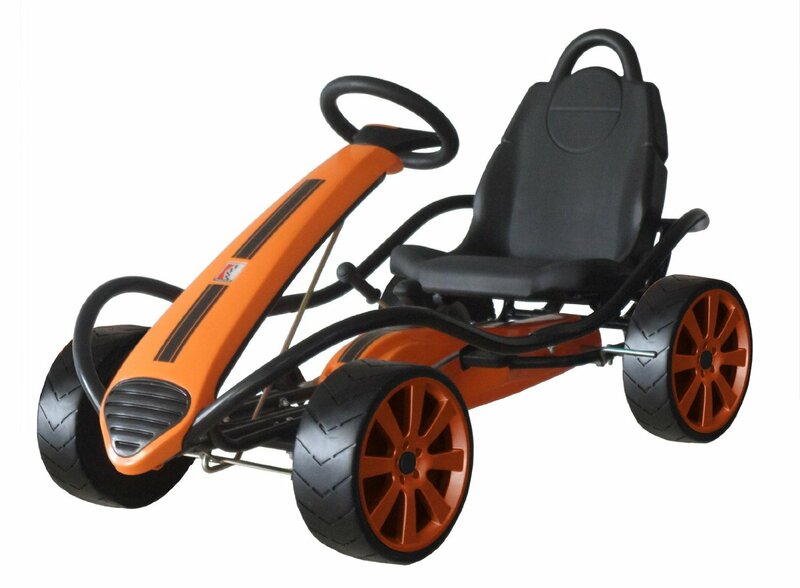 This is perfect for pushing the kart of for coasting downhill. The coast control is another safety advantage because the pedals are not moving. The kart takes 30 minutes to put together even for the least mechanically inclined people. For durability, safety, and fun the Kettler Kettcar Kabrio Cart does not have many if any competitors. Use sidewalks and grass. Street use not recommended. Warranty 3 to 5 year parts if used by individual – depends on seller. Warranty not applicable to business use. Colors Yellow front, Green steering wheel and seat, blue frame, red struts, yellow and red rims.